Located on the lake, by the sea, is Camp Elim. 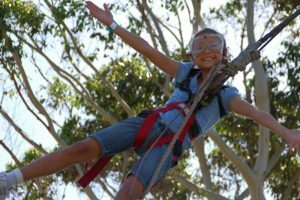 We are a christian camp site and can accommodate both holiday makers and groups, whether it is school groups, church camps, or even groups only wanting to be here during the day. For holiday makers we have a number of different cabins and powered sites available, along with lots of different activities that you can do. We also have a holiday program running through the Christmas holidays. For groups, we have cabins and activities, we also provide catering for meals and provide flexibility on activities to suit the camp better. 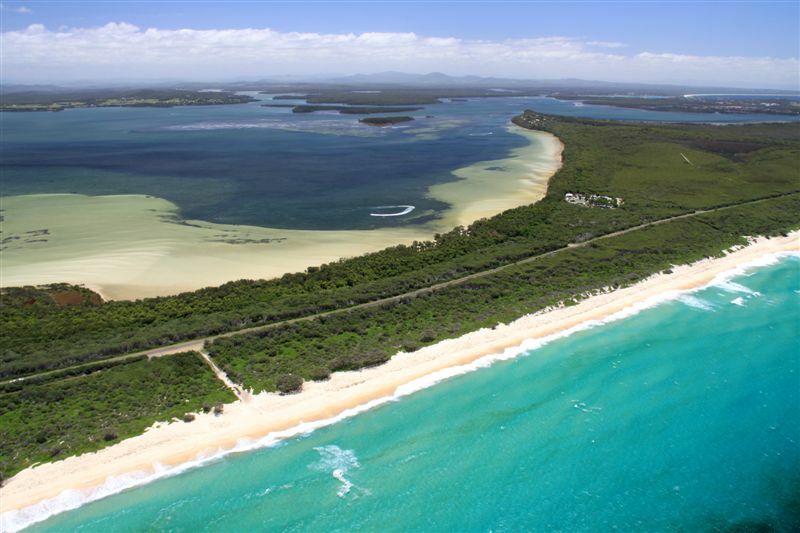 As you can see from the aerial photograph below, we are tucked away in the Booti Booti National Park, on a narrow strip of land between Green Point and Tiona. We enjoy a lake that that caters for many water activities on one side, and a long beach with excellent surf and fishing on the other. One of the biggest focuses of Camp Elim is the ministry, so take a look at our ministry page to find out more.